Samidoun Palestinian Prisoner Solidarity Network is a proud affiliate of the International League of People’s Struggle. Our Europe coordinator, Mohammed Khatib, participated alongside Leila Khaled, Palestinian leader and resistance icon, in the ILPS 2015 conference in the Philippines and a series of associated events, including the launch of the Philippines-Palestine Friendship Association. Leila Khaled joins Aiyanas Ormond, a longtime Palestine organizer and Samidoun comrade; Malcolm Guy of ILPS Canada; Bill Doares, with decades of experience in the struggle for the liberation of Palestine; and many others on a “blacklist” issued by the government of the Philippines. All are banned from entering the country due to their support for the popular struggles and people’s movements of the Philippines. In a move to ban human rights activists from entering the Philippines, the Philippine Bureau of Immigration (BI) released BI B.L.O. No.JHM-17-287 [Black List Order] which bars people associated with the International League of Peoples’ Struggle (ILPS) from entering the Philippines. This is an attack on the people’s right to witness, document, and support the Filipinos people’s struggle for basic human rights and social, political and economic justice. Canadians should be concerned. Included on this list are two Canadians, Malcolm Guy, ILPS Secretary General, and Aiyanas Ormond, Chairperson of the Canadian Chapter of ILPS. Guy is a founding member of the Immigrant Workers Centre in Montréal and is co-founder and President of the film production and distribution company, Productions Multi-Monde. He is a well-respected film director/producer who has made many documentaries about the peoples’ struggles for land, livelihood, peace, and basic human rights in the Philippines, Canada and elsewhere, and has been a friend and unabashed ally of the movement for the rights of working people in the Philippines for decades. He interviewed the Philippine president, Rodrigo Duterte, for a film about Duterte’s former teacher, Professor Jose Maria Sison, just before Duterte swept the elections in 2016. That film is due out later this year. Ormond is a Community Health Worker in Vancouver’s Downtown Eastside and an organizer with the Alliance for People’s Health who has spent over a year in the Philippines with his family providing health care and human rights monitoring in far-flung rural communities in the Visayas. The International League of Peoples’ Struggle is a broad alliance of over 250 peoples’ rank and file organizations and movements in 40 countries which aims to foster the unity, cooperation and coordination of anti-imperialist and democratic struggles of peoples around the world. 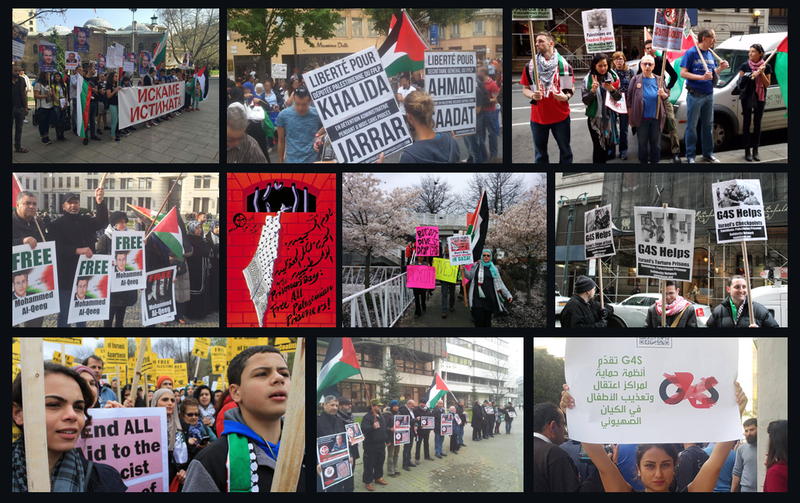 Through fostering international solidarity, the ILPS has consistently exposed and opposed the US-led war machine and the exploitative and oppressive policies of all imperialist states, including Canada, and their local supporters. The Chapter of the ILPS in Canada was founded in 2011 and is made up of 25 peoples’ organizations from Montreal to Victoria. The news of this BLO release comes simultaneously with an ongoing string of blacklisting and deportation orders which include 84-year-old US-Australian lawyer and human rights activist Professor Emeritus Gill Boehringer, who was prevented from entering the Philippines on August 10 and as of this writing is held at the Ninoy Aquino International Airport facing deportation. It also includes 71-year-old Australian missionary Sister Patricia Fox, who has provided missionary services to rural and poor communities in the Philippines for 28 years and to date has successfully resisted deportation. The Duterte government simultaneously publicly denies political persecution of foreign nationals in the popular media while upholding and defending BI Operations Order SBM 2015-025 which prohibits foreign nationals from “engaging in any political activity … such as but not limited to, joining, supporting, contributing or involving themselves in whatever manner in any rally, assembly or gathering, whether for or against the government”. In an obvious twisting of the facts, the BI has issued press statements declaring that the purpose of such blacklisting is to “ensure that no undesirable foreign national enters the country” and that “inclusion in the blacklist means that the subject is a threat to public order and safety” (BI Press Releases). The supposed threat to public order and safety that the blacklisted individuals purportedly participated in was a mass demonstration against the Asia Pacific Economic Cooperation in November 2015; a demonstration which was attended by many thousands of participants, including some international guests who were exercising their right to peaceful assembly and protest. These supposed “threats to public safety” are a diversionary tactic. The true motivation for barring entry to human rights activists is to scare off international solidarity and silence foreign critics of the Duterte government. Despite promises to be a different kind of President, Rodrigo Duterte has amplified his predecessors’ attacks on urban poor and peasant communities. No one on Duterte’s political blacklist has committed any offence, but Duterte’s crimes against the people are well documented by international human rights activists such as Human Rights Watch. The Duterte government’s crimes against the Filipino people include thousands of dead in the President’s bloody “war on drugs”, hundreds of extrajudicial killings in his ongoing attacks against members of people’s organizations, the illegal arrest and detentions without warrant of hundreds of activists, hundreds of thousands forced to evacuate due to counterinsurgency operations, and the extension of martial law in Mindanao. Canadian progressives and participating organizations in the International League of Peoples’ Struggle vow to work hand-in-hand with the Filipino organizations in Canada to build broader and stronger support in opposition to the Duterte government. The ILPS in Canada calls on Canadians to put pressure on the government of Justin Trudeau to immediately suspend all funding to the Philippine military and police and all programs of support and cooperation with them through Global Affairs Canada, the Department of Defence and other agencies of the government of Canada. ILPS in Canada also calls for the immediate suspension of the Military Training and Cooperation program and the Police Training Assistance program which serve only to enhance the technical and operational capabilities of the bodies that are responsible for gross human rights violations, as long as the Philippine government continues to wage its anti-drug and counter-insurgency wars, and police and military continue to disregard human rights. At the same time the ILPS in Canada calls on Canadians to push the Canadian government to issue a clear public statement condemning the targeting of human rights defenders, indigenous and peasant leaders and communities and progressive organizations that are part of the Philippine government’s counter-insurgency program. In view of the acute and immediate danger faced by these individuals and communities, the people of Canada demand that Ottawa take concrete measure to oppose the Philippine government’s conduct of the counter-insurgency program which results in rising numbers of extrajudicial killings, forced disappearances, illegal arrests and detention, harassment and forcible evacuation. Instead, the Canadian government should support the peace process undertaken by the Government of the Republic of the Philippines and the National Democratic Front of the Philippines which dealt with the underlying roots of the armed insurrection in the Philippines, which the Duterte government has decided to not continue for the moment. Finally the members of the ILPS in Canada request that the Philippine government immediately rescind all so-called blacklists, watchlists and exclusion orders targeting human rights and solidarity workers and take measures to protect the right of Canadian citizens, including Mr. Guy and Mr. Ormond, as well as the citizens of Australia and other countries, to practice people to people solidarity with the Philippine peoples’ struggle for justice, peace and respect of basic human rights.